As we have quite a number of holidays planned for 2019 including a commitment to attend Rootstech, London in 2019 I decided that it would be sensible to stay home for a while. 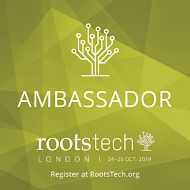 Just yesterday I got a message that Salt Lake City Ambassadors need to register for that event by 31 October, 2018 (that's today) and my mind was made up - I would be a #notatrootstech Ambassador this year. Fast forward to today and Qantas, our favourite airline, had a special "Companion Airfare Offer" where two people could fly for the price of one. I mentioned this to Mr GeniAus when he came in for lunch and suggested that it would for fun for him to accompany me and travel to Salt Lake City via Seattle (a city near the top of our bucket list) in February. He agreed! I just booked our flights from Sydney to Seattle and from Salt Lake City back home. We arrive in Seattle on 15 February 2019 and leave Salt Lake City on March 3. I am definitely attending Rootstech in Salt Lake City. Luckily months ago I had booked four nights (all I could get) at The Marriott Downtown City Creek so we have accommodation during the Conference. Now I need to work out our itinerary for the rest of our trip - suggestions most welcome. My immediate task is to register. I am so excited to be able to partake in the geneafest of educational opportunities Rootstech offers. Catching up with the many genimates I have made at Rootstech over the past 9 years is the icing on the cake. As a proud Australian I love to fly our flag at Rootstech. The surname Magick is well represented in my family tree. 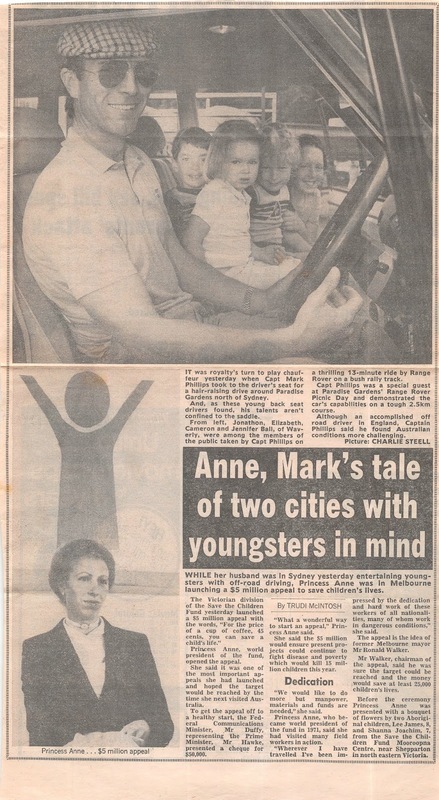 I have been able to add some people,dates and stories to my tree thanks to Trove's digitised newspapers. Following are some Magick Moments courtesy of Trove. One of the best things about Rootstech is meeting up with my Genimates from all over the world. This morning, when a Google Photos message popped up on my computer, I started browsing and came across some pics of my genimates at Rootstech in 2015 - a year when we had a strong Australian contingent make their way across the equator to Rootstech in Salt Lake City. I had never explored making animations with Google Photos - it was dead easy but I wish I could have slowed down the animation. Seeing all those smiling faces makes me keen to return to Rootstech once more. Can you spot any of your genimates in the animation? There are often several browser tabs open at once on my computer. It has been said that pictures speak louder than words. I can identify many of these from the little Favicons that display in the browser tabs but when I have some with the same little icon it's hard to distinguish one from the other. I found directions from Chick Croll on how to do this here https://blogging.nitecruzr.net/2018/10/adding-favicon-2018.html. This used to be a fiddly process but it is so easy now. Until recently if I had three or four Blogger blogs open I could not identify which was which without reading the small text in the tabs but now that has changed. 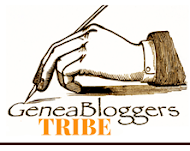 Now I just have to look for for my familiar GeniAus portrait Favicon to find my blogger blog. I can also easily identify Myrt's Musings from DearMYRTLE's favicon. That little portrait is an important of my branding - several years ago when I was going to change my portrait to a more lifelike/real photo one of my genimates said "You can't do that - it's part of your brand. So now I use it at every opportunity. Together with my internet identity GeniAus it make my content easily recognisable. 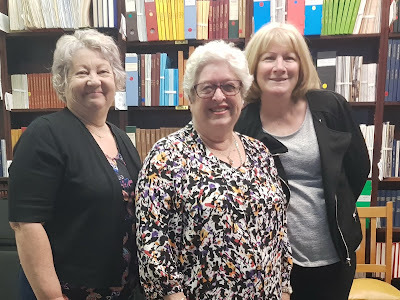 Recently at Hornsby Shire Family History Group we welcomed Amanda Ianna, NSW Registrar for Births, Deaths and Marriages to our meeting. I was thrilled that such a busy person accepted my invitation to address our Group as I knew that she was an enthusiastic and energetic speaker who would keep our members entertained. 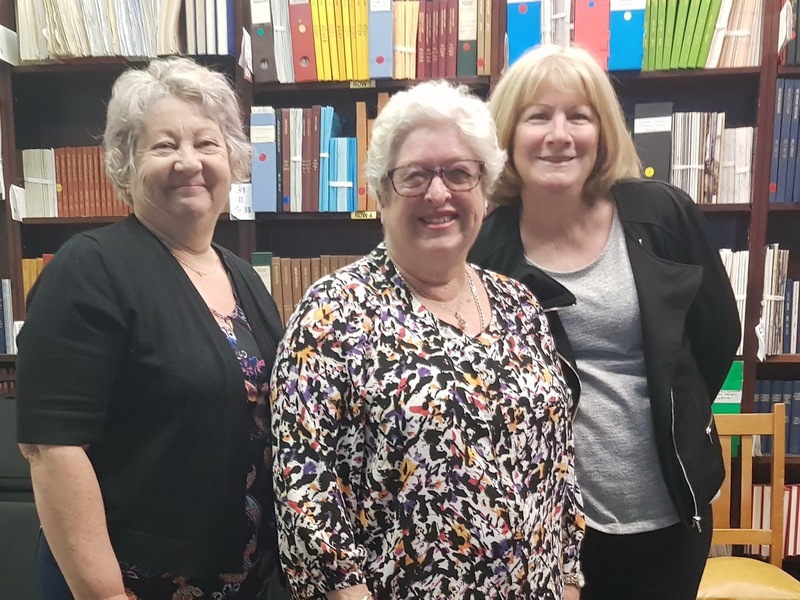 During the meeting on Wednesday 17 October several of our members mentioned their frustrations with searching the NSW Historical BDM indexes since the Registry's website revamp about a fortnight earlier. Amanda, who is very interested in user feedback, said she would take this up with the website team and see if they could address our issue. Two days later on Friday 19 October when I opened the Registry's BDM Home Page I found that our website issue had already been addressed and that the link to start searching the Historical Indexes was only a click away from the Home Page. Thank you Amanda for your prompt resolution of our issue. I just updated the CGD page on my blog. I know I left lots out eg the blog and Facebook posts I read each day and the small video clips I view on Youtube and other sites. What is CGD you may well ask? I am pasting below the text of my blog post from 2011 in which I described this activity. I recently posted my plans and rationale for keeping a Learning Log for Genealogy. This is a record of those learning opportunities that I have taken. Shortly after this I read DearMyrtle's post Education Plans in which she reported on her plans for the coming months. This is an assignment for the ProGen12 Study Group of which she is a member. She has listed her plans under the headings Area of Focus, Activity, Time Frame and Cost..
Myrt asked "What are your plans to hone genealogy research skills? " which set me to thinking if I should have a more formal plan for learning. I have been pondering this for a few days and have decided that, as I am an amateur genealogist, I do not need a formal education plan. So for my CGD, Continuing Genealogical Development, I plan to look out for educational opportunities that cater for deficiencies in my knowledge (not hard to find) or pique my interest. I undertake learning via a range of delivery methods: face-to-face, online via webinars or podcasts, radio broadcasts, various print media and by trial and error. I will endeavour to take part in at least one learning activity per week and will continue to document these in my Learning Log. I will seek out potential learning opportunities by reading blogs, accessing the geneawebinars blog, following the calendar of SAG, reading about events at Unlock the Past, perusing mailing lists and keeping my eyes and ears open. I am sure that I will find plenty to keep myself amused. I have been in contact with two distant cousins who share my convict ancestor Elizabeth Phipps for around 25 years. We found each other some time last century and shared and communicated for a while. 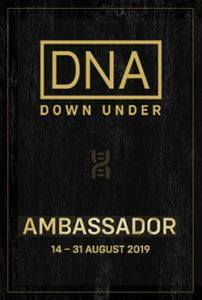 Then, when along came DNA which proved that we really were cousins, we resumed communications. One of the cousins set up a private Facebook Group where we discuss our research on Elizabeth, her descendants and the paternity of her children. We are hoping that one day we will have a connection with a distant cousins that will give us some clues to solve our paternity problem. The cousins follow my GeniAus Facebook page and saw that I was to be presenting a talk on "Cousin Bait" at SAG so they signed up. They were baited! I can add this new method of baiting cousins to future presentations. Please don't tell the other genies who came along to my talk yesterday but meeting Lyn and Leonie, who travelled from outside Sydney to hear and meet me, was the high spot of my day. I'm sure we will see each other again soon. I recently read Carmel Galvin's excellent post Untangle those Blogger Knots. This set me thinking about a pet peeve of mine and a piece of advice I wish geneabloggers would heed from me. I travel a lot and try to keep up with blog reading on my smartphone when I have a spare moment. I find it most irritating when I am unable to read a blog post because it is not optimised for mobile devices. When some blogs display on a mobile device the font is so small that is is nearly impossible to read. On others the font is in a pale colour that is also hard to read, I am a fan of pale gray but not as a font on a white background. (I am thinking of one blog in particular that uses a Wordpress theme but there are several I follow that are difficult to read). In this 21st century many folk like me use their smartphones for a lot of their internet browsing. You may be missing out on potential readers if your blog is hard to read on these devices. Have you taken a look at how your blog displays on a smartphone? Is the font tiny? Does the reader have to do a lot of scrolling from left to right to read each line? Is there plenty of contrast between the font and background colours to make reading easy? I realise that some bloggers do not have smartphones and are therefore unable to see how their blogs look on these devices. Perhaps you could ask a friend to view your blog on their smartphone. If you don't have a smartphone toting friend feel free to send me your blogs' URLs and I'll take a look for you. After reading that Tweet I realised that I hadn't been loving Trove on #TroveTuesday much lately. Sure I had been searching for articles and correcting the text in some of them. I also included some slides about Trove tags and lists in an upcoming presentation about "Cousin Bait". 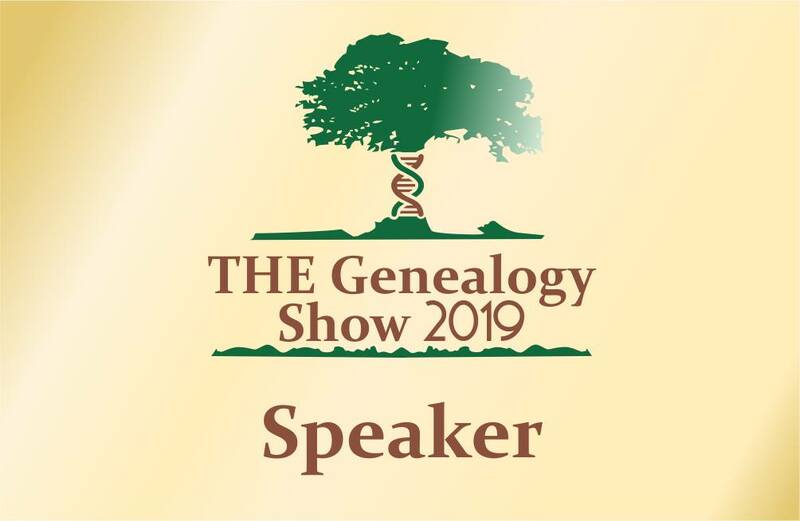 In my talk I will be showing people how to use tags as cousin bait and how to search for ancestor tags. I always try to tag posts about my ancestors. My search for my grandfather "Frank Duncan"brings back 65 results most of which are tags I attached to articles about Frank. I love lists on Trove. I use the CurryAus list to keep track of articles I find for my CurryAus surname study. I can add and edit notes to the items in the list. This is useful when I have added the details from an article to my database, I can keep track of articles I have not yet worked on. The results for lists show up on the main Trove results page, note that my blog is included under the Archived website category. One can also just search the lists. When I search Lists for Curry I found more than mine. Some of these lists directed me to articles I could add to my list. I started writing this blog post on my smartphone last Monday when we were on a roadtrip in country NSW. I had intended tidying it up on my laptop before posting that evening but I forgot to pack my computer. As I found the post difficult to tart up on my phone I put it aside until we returned home. Mr GeniAus and I are currently motoring south along the motorway and I am attempting to draft a blog post on my phone. 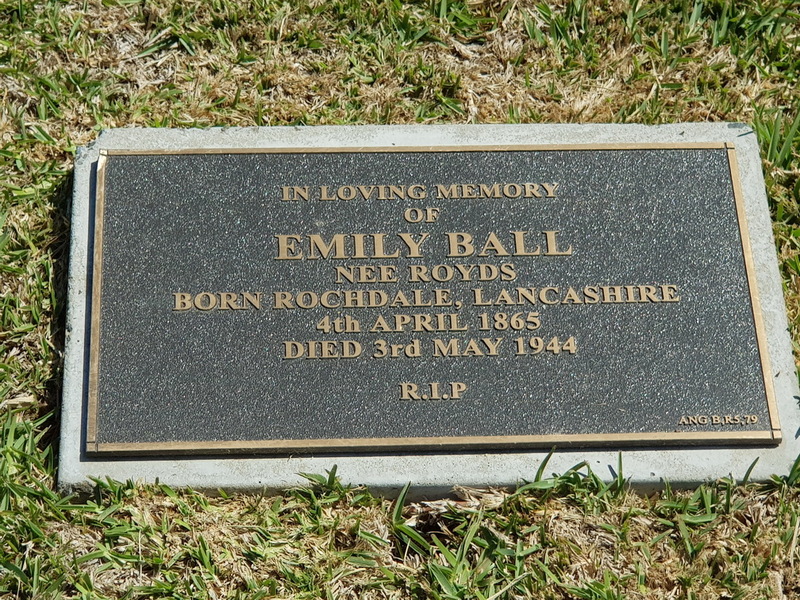 On the way to our destination we stopped into Liverpool General Cemetery and Crematorium to visit the grave of Emily Ball nee Royds. Mr GeniAus' Great-Grandmother. A few years ago when we first located her grave we discovered that it was unmarked. We discussed this and decided that we would like to place a memorial on the plot. 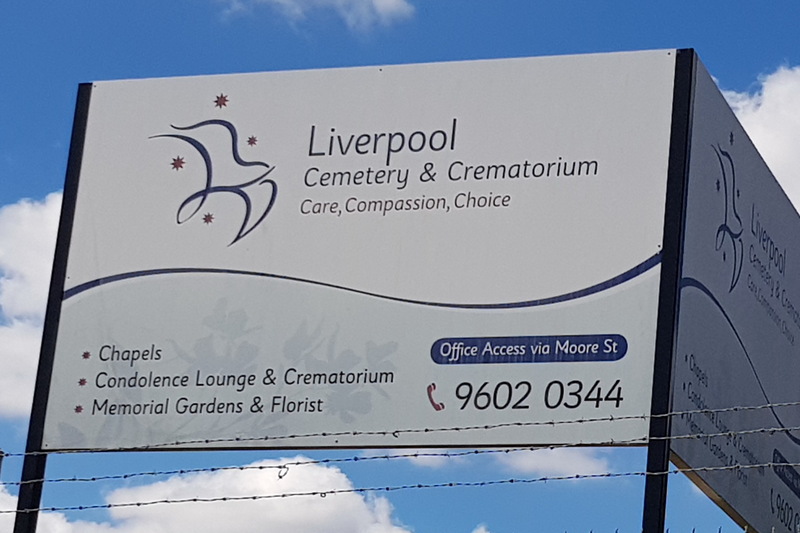 It took us a while but around 2016 we approached the cemetery authorities asking for permission. We submitted copies of relevant certificates that showed Robert's relationship to Emily. The cemetery replied that we needed the approval of the plot's owner (who happened to be buried a couple of rows from Emily). We did find as living descendant of the plot owner who had no objection. We then contacted a monumental mason who was happy to undertake the work for us. After quite a bit of deliberation we chose a simple plaque and appropriate wording. 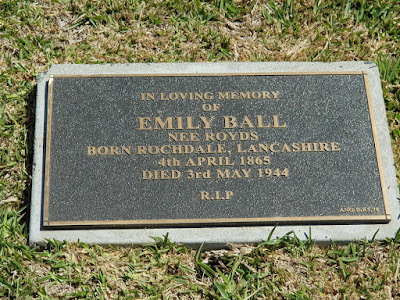 Around a year ago the monumental mason let us know that the plaque had been placed on Emily's plot. Since moving house we haven't had an opportunity to visit the cemetery and inspect the plaque. Today as we were motoring south we took a small detour and dropped in on Emily. On seeing the plaque that mentioned birth and death dates, maiden name and place of birth I commented that it looked like a genealogist had input into the information shared on the plaque. Hopefully, in the future, it may help some other genies who are connected to Emily. While at the Cemetery I also took a couple of dozen photos and uploaded them to BillionGraves. I was on a tight time schedule or I would have added more.